Since 2004, Ms. DeGois has successfully provided aggressive representation of individual and entity clients in diverse areas of litigation practice, including professional licensing board investigations, medical negligence claims, landlord-tenant disputes, products liability actions, and premises liability cases. 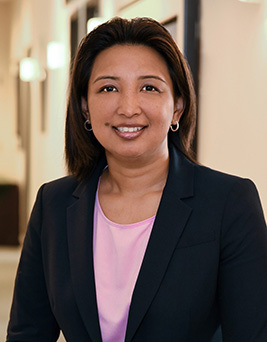 Her broad experience includes averting lawsuits by developing and executing effective pre-litigation strategies, prevailing on dispositive motions in both state and federal courts, and successful appellate advocacy. In recognition of her contributions and accomplishments, Ms. DeGois became a partner in 2010. In 2017, following plaintiffs’ presentation of evidence at trial in a wrongful death action, Ms. DeGois successfully argued a Motion for Nonsuit on behalf of a medical foundation and obtained a judgment in its favor. Ms. DeGois also successfully argued another client’s interests before the California State Court of Appeal, First Appellate District. In that matter, Ms. DeGois represented a healthcare provider in a negligence action brought by a patient. At the trial court level, Ms. DeGois obtained a judgment in favor of her client by successfully arguing a Motion for Summary Judgment on the grounds that plaintiff’s action was barred by the statute of limitations. The plaintiff appealed, arguing that the one-year statute of limitations codified in the Medical Injury Compensation Reform Act (MICRA) did not apply to his “ordinary negligence” cause of action. Before the appellate court, Ms. DeGois persuasively argued that the express language of the statute of limitations and the principal legislative objective underlying MICRA dictated application of the one-year statute of limitations irrespective of plaintiff’s characterization of his action as merely a “slip and fall” claim. Finding in favor of Ms. DeGois’ client, the Court upheld the applicability of the statute of limitations period prescribed by MICRA. In her free time, Ms. DeGois enjoys playing league volleyball and is an avid basketball fan. Go Warriors!